This is the summary of consumer reviews for Boon Scrubble Interchangeable Bath Toy Squirt Set. The BoolPool rating for this product is Very Good, with 4.10 stars, and the price range is $9.99-$11.99. 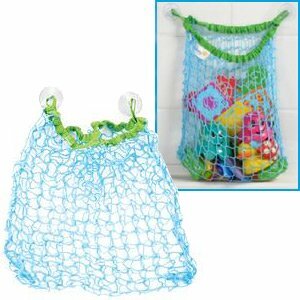 The Boon Scrubble Interchangeable Bath Toy Squirt Set is a great bath toy for kids that is safe and attractive. 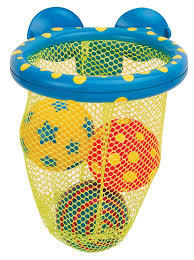 Kids can fill each bulb with water, squeeze it out or slide it all around like a soapy loofa. 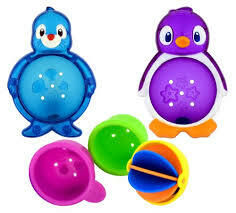 Each of these squirt toys have two halves that unscrew for easy cleaning and also kids can mix and match colors. 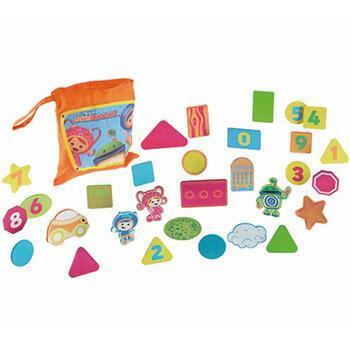 These bath toys are made of good quality material and are fun to play with. The fun textured surfaces also encourage scrubbing. However, as per some user reviews, the bulbs may be inflexible and a bit hard to squeeze. Not everyone finds it easy to squirt the toy as well. Overall, the Boon Scrubble Interchangeable Bath Toy Squirt Set is a versatile toy and is highly liked by kids and recommended by parents. Now, you can let kids play in the dirt, then put them in the bath and toss in Scrubble. Cleaning & Care: Rinse thoroughly after each use and place in a location where it can dry completely. Clean with a mild detergent if needed. 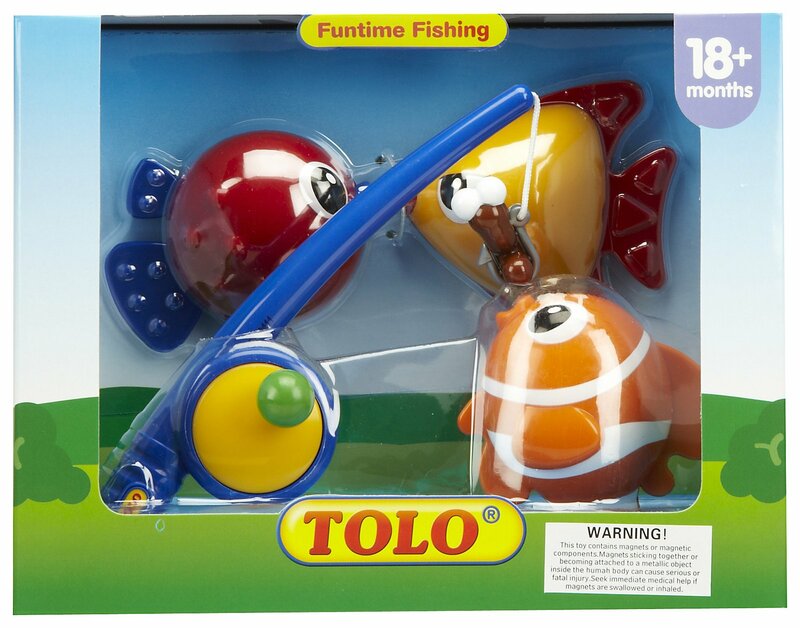 My daughter loves it when I squirt water on her from one of these toys. My 1 year old loves to chew on them and pretends to drink the bath water :/ but they're great clean bath toys. 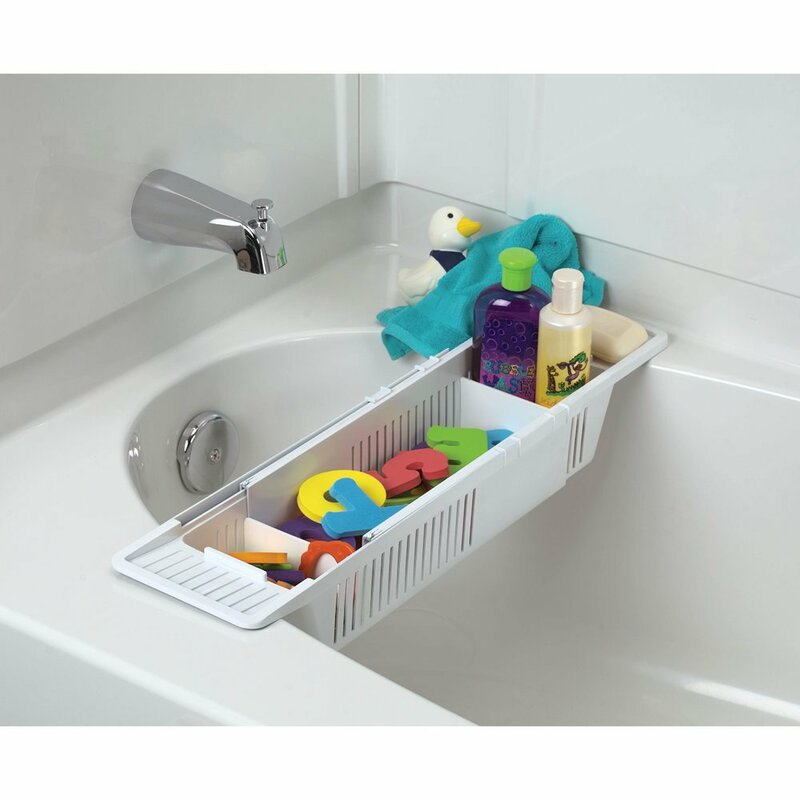 These toys are enjoyed by my daughter in the bath, and I love them because they're made of some of the safest materials available for bath toys! anyways: + BPA free, + basically mold proof, + attractive colors, plus I just love all the boon bath toys we've. She loves these 3 scrubber toys- working to unscrew and put them back together, chewing on them as teethers, and for bath time fun. My child also enjoyed opening and closing these bath toys. Best feature for Mommy is you can open them and drain out the water so they stay clean, not putrid like the toys where water gets trapped inside. These toys are perfect for her and my 3 YO son loves them too! 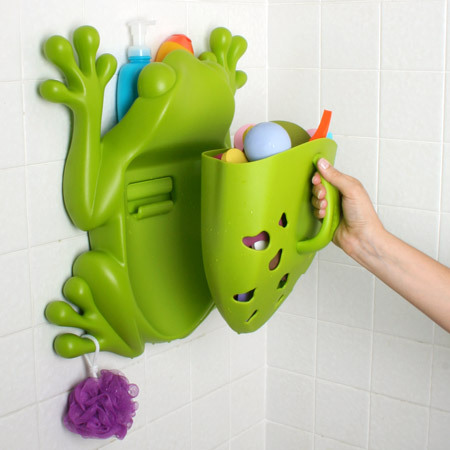 I love that they don't get gross like some other bath toys and they're dishwasher safe. 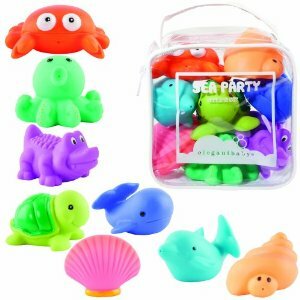 I bought these for my one-year-old daughter because I hated the idea of moldly water inside all the other squirt bath toys I'd looked at. The bulbs on the toy are hard to squeeze. The only problem that I see is that they're too hard to squeeze for little baby hands, but they don't seem to mind. Problem is that they're are sort of hard and inflexible so tough to squeeze, and not really that much fun. These are very colorful and my son was instantly playing with them, but they're hard to squeeze (even for me, impossible for him, he's 2 1/2) so they're difficult to squirt water out of since it's hard to get it in to begin with. Kids can't squeeze them at all, so they never fill up with water. The bulbs are too hard to squeeze and the holes are giant so there's only about 1.5 seconds of squirting. My son can't grip the toy while wet and squeeze it to make the water squirt out. I wish they'd been made for little hands to squeeze. The bulb part is so small I can't even squeeze them. It's a good idea, but it's too hard to squeeze even for me, let along my 1 yr old. Each piece unscrews so they're easy to clean!. Each toy unscrews for easy cleaning (less likely to "toss" for mold and mildew). Boon Scrubble Squirt set is no different; cute and super easy to keep clean/dry, as each piece can be taken apart. These are great squirt toys for the tub since they can be disassembled and cleaned. These items, like all other toys that get wet do need to be cleaned regularly. This's the only one I've found that comes apart for easy cleaning. Many squirters can't be cleaned and end up growing mold inside if you aren't diligent about making sure all the water is out after each bath. I like that they'll be easy to clean. We unscrew the tops and use dish soap to clean them weekly. I've other bath toys I bought at the same time and are easier to clean and don't have built up mildew. Rather, my baby loves the soft foam boon bath goods, the foam appliques. suit for toddler,a little heavy for baby.any way love it!. good quality, a little hard to squeeze, soft enough to touch. Really, it's just hard molded plastic, so while it's fun to fill with water and squirt out- I'd rather they were soft so she could rub them on her skin. I got these for my baby who LOVES the tub. These little scrubbles are a favorite of my teething baby. 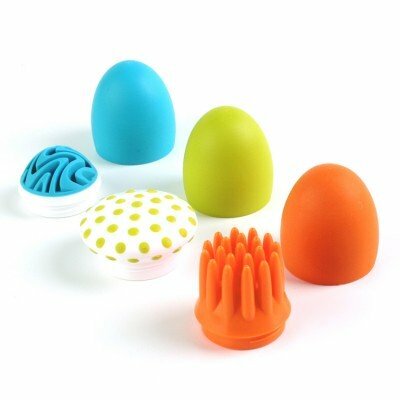 All the fun of a squishy spray bath toy without all the mold!! My 9 month old son and 3.5 yr old daughter alike love playing with them. However, because they're a soft material, they do mold rather easily.